Our objective was to build a statistical model that adjusted for a more complete set of covariates than previous studies to analyze discrepancies in Hospital Compare ratings between teaching and non-teaching hospitals. Informed by previous findings, we attempted to more fully capture key aspects of an academic mission-driven hospital, including trainee development, research, and uncompensated care.3,5 We based our model on U.S. geographic healthcare markets to assess the potential impact of adjusting overall quality ratings for hospital characteristics, including their locations and the sociodemographic characteristics of their surrounding patient populations. Publicly available data sets were merged from CMS Hospital Compare, CMS Inpatient Prospective Payment System, and the U.S. Census. Children’s hospitals were excluded due to exemption from data reporting. Sociodemographic indicators were mapped to hospital location by health service area (HSA). Our study was granted exempt status by the Institutional Review Board of the Hospital of the University of Pennsylvania. The relationships between Hospital Compare ratings and various predictors were analyzed by univariate and multivariate linear regression models using R, version 3.4.0. We performed sensitivity analysis using two propensity score matching methods (multivariate logistic regression and random forests) to account for non-linear and non-additive associations. In a multivariate linear regression model adjusting for hospital characteristics, geography, and sociodemographic factors, each increase of 1 resident (trainee) per 10 beds, a continuous measure of teaching intensity, was associated with a 0.09 Hospital Compare star rating decrease (p < 0.01, Table 1). Figure 1 also shows the correlation between increasing teaching intensity, as captured by resident-to-bed ratio, and overall mean Hospital Compare rating. Hospital compare ratings based on resident-to-bed ratio. Increased teaching intensity, represented by higher resident-to-bed ratios, was associated with a decreasing mean overall Hospital Compare rating (between 1 and 5 stars) at U.S. teaching hospitals. Two propensity score sensitivity analyses, which matched teaching and non-teaching hospitals on all geographic and sociodemographic variables in Table 1 (except resident-to-bed ratio) produced similar results. With multivariate logistic regression and random forest propensity matching, teaching hospitals had 0.32 (95% CI, 0.24, 0.39) and 0.23 (95% CI, 0.16, 0.31) lower Hospital Compare ratings, respectively (out of a possible 5 stars). Other non-teaching-related measures were also independently associated with significant differences in Hospital Compare ratings when all hospital and sociodemographic factors were included in a single, multivariate linear regression (Table 1). Hospitals offering emergency services were associated with lower ratings by 0.24 stars (p < 0.01). Location by U.S. region was highly associated with differences in hospital ratings. Compared to the largest cohort of hospitals (South Atlantic, n = 568), cohorts in the East North Central or Mid-Atlantic received up to 0.40 higher or 0.20 lower ratings, respectively (p < 0.01 for both). In addition, HSA-level sociodemographic factors were independently associated with differences in hospital ratings (Table 1). Age, race, unemployment, and education (bachelor’s degree) of populations within a hospital’s HSA all contributed to variations in quality rating (p < 0.05 for race, others p < 0.01). Our analysis suggests that an institution’s Hospital Compare score is strongly influenced by differences in hospital characteristics and sociodemographic factors. Even after adjusting for their location and surrounding patient populations, Hospital Compare ratings are lower for academic hospitals, and this rating penalty increases with higher teaching intensity. In addition, hospitals providing emergency services and those surrounded by a higher density of patients with sociodemographic risk factors also receive lower overall ratings. 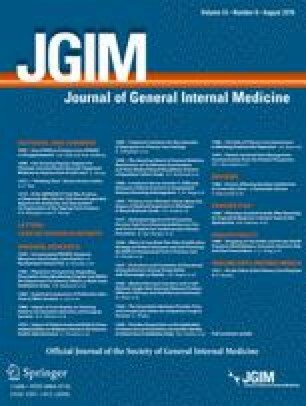 While our study does not fully explain how higher teaching intensity, as measured by resident-to-bed ratio, is associated with poorer Hospital Compare ratings, it may be that academic hospitals are called upon to provide a larger spectrum of services or are receiving incomplete adjustment for clinical factors (e.g., disease severity or comorbidities). Policymakers must ensure that quality measurement, as embodied in Hospital Compare ratings, does not penalize academic hospitals for treating vulnerable and challenging patients, or for providing postgraduate medical education. Wenshuai Wan, MD received funding during the research project from a Ruth L. Kirschstein National Research Service Award (T32). Centers for Medicare & Medicaid Services. CMS Releases First Ever Hospital Compare Star Ratings. 2015 Apr 16. Available at: http://www.cms.gov/newsroom/mediareleasedatabase/press-releases/2015-press-releases-items/2015-04-16.html. Accessed 21 March 2018. Centers for Medicare & Medicaid Services. First Release of the Overall Hospital Quality Star Rating on Hospital Compare. 2016 Jul 27. Available at: http://www.cms.gov/Newsroom/MediaReleaseDatabase/Fact-sheets/2016-Fact-sheets-items/2016-07-27.html. Accessed 21 March 2018. Pollack R. Statement on Centers for Medicare and Medicaid Services (CMS) overall hospital star ratings. 2016 Jul 27. Available at: http://www.aha.org/presscenter/pressrel/2016/160727-pr-starratings2.shtml. Accessed 21 March 2018.